For the next 90 minutes the entire lot of us laughed aloud as we were introduced for the first time to Ralphie, the frozen flagpole double-dog dare, and the slurred cursing at the Bupass’ dogs. Even grandma, who lamented the absence of Jimmy Stewart at every turn, giggled when Ralphie donned the pink bunny onesie given to him by his Aunt Clara. And as I watched, I reckoned myself the southern, modern alter-ego of Ralphie and found myself rooting for him to get that prize—the coveted Red Ryder BB gun. “No, ” everyone in the room shouted in unison. “You’ll shoot your eye out!” they said, before erupting in laughter. I would not receive that air rifle on that fateful Christmas morning, mostly on account of my timing. Santa’s sleigh had left the storehouse well before I made my request, and I suppose I shouldn’t have expected him to turn Dancer and Prancer back toward the North Pole just for me. (I’d have hated to be a bother to him, anyway.) Instead, I received a boatload of Legos and perhaps a few G.I. Joe action figures, which quelled any dissatisfaction in my lack of proper armament. Still, Ralphie and that Red Ryder stuck with me. It’s been years since my first screening of A Christmas Story, but I watch it every year, now with my own children. I think it to be the most perfect of Christmas movies, evoking a sense of better days gone by, clothing the season with a proper sense of nostalgia. So when I read about Biographile’s Holiday Haiku Contest, the one in which submitters were asked to pen a short poem about their favorite Christmas memories, I immediately knew the subject matter of my poem. Holiday Haiku Writing Prompt: The deadline for submissions to the Biographile contest has passed, but that doesn’t mean we can’t continue the exercise here. Tell me—do you find that this season fills you with a sense of warm nostalgia? What is your favorite holiday memory? Would you consider sharing it with us here in haiku form? And perhaps, like me, your favorite holiday memory is connected to a movie, a piece of literature, or music. Feel free to submit a haiku centered around your favorite piece of holiday art. Now, let’s get to spreading a little Christmas cheer! Who’s first? This month’s theme at Tweetspeak is “haiku.” So—you guessed it—we’re composing haiku poems. Perhaps you’ll scrawl a holiday haiku (there’s plenty of inspiration on our December playlist), but feel free to explore whatever ideas come to mind. How do you participate? 2. Compose your own haiku, whether holiday-themed or otherwise. To end it, pin me. Rosanne Osborne, on the other hand, built a beautiful haiku trilogy. Make sure you check out Joe and Roseanne’s haiku, and let them know what you think about their pieces. Now let’s create some holiday haiku cheer! Who’s first? Photo by Wit, Creative Commons via Flickr. Post by Seth Haines. 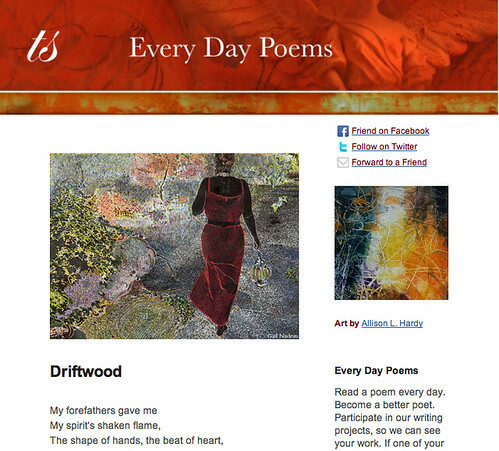 Wonderful post, Seth, and wonderful haiku selections from among the community. I can’t tell you how much the creativity of this group of contributors fires me up! I/m not sure if I wrote a haiku or not – I think it’s more like a tabloid newspaper headline, Or two. Or three. That last one uses holiday song titles.